If you monitor your loved one with a GPS tracker, you can help them out of any danger. Knowing they are being well-monitored from a distance will give them the independence that they crave and desire. With the technology of a GPS tracker by their side, the elderly will feel safe at home as they will receive the support of technology with daily functioning, such as medication reminders that will ultimately improve the quality of their life. 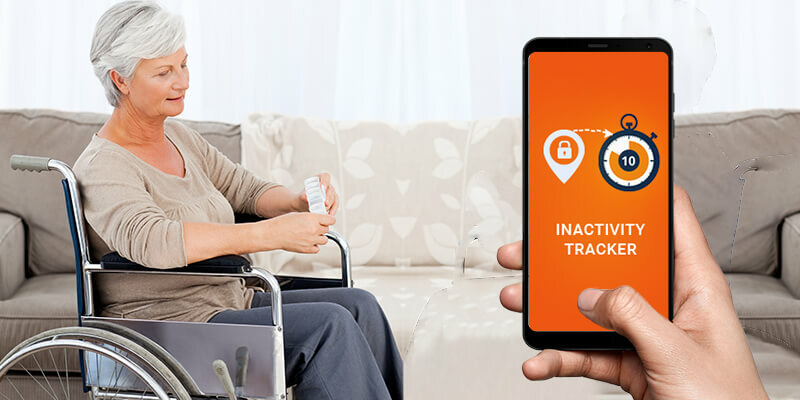 A senior alert system is so wondrous that it will notify the caretaker of possible falls, inactivity, call, text, and app activities, entry and exit from certain geo-locations (such as buildings or neighborhoods), SIM card and network changes, and low battery. However as in any technology, the cell phone too can let you down. The cell phone may run out of battery cutting off your only point of contact with your loved one. Not being able to reach the phone when needed can be both stressful and unnerving for you. Fortunately the safety senior app comes with an inactivity tracker feature where you can configure the senior safety app to send you an alert if the battery is close to running out. The app lets you pick from options between 5% and 25% to get an email when the battery is low with the location of the device. This feature also helps seniors find their devices when it is lost. With all the features of the safety senior app, your loved one is cocooned in a safety net. Your seniors feel safer and secure knowing that they can reach out to you anytime that troubles knock and you will rush to their assistance almost at once. It is pretty easy installing the personal GPS tracker for the elderly. You can download the safe alert system for seniors from Google Play or scan the QR code on the Senior Safety App website to initiate a download. In a next step, configure the app which will take only a few seconds. The app which is now yours, can be customized to enable alerts reach you the way you need it. Studies have shown that within the next 30 years, the number of Americans crossing 65 years of age and above is set to more than double, reaching 88.5 million. In other words, while current and future generations decrease in size, they would need to be prepared to care for a larger and older generation.